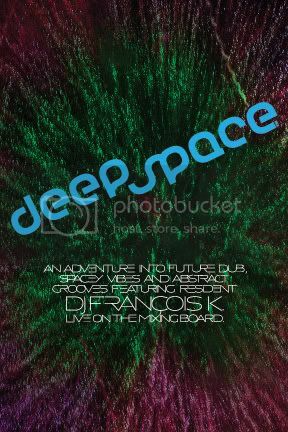 Deep Space is an adventure into future dub, spacey vibes, and abstract grooves. It’s the kind of event where sounds of all origins are played, not limited to one particular format but always sharing this common link of dub, whether improvised live at the mixing console or played from original recordings. Selector members also receive discounts to special events, win tickets and music, and generally get to fly in our spaceship with more leg room. LOEFAH (SWAMP 81) Kirk Degiorgio/Francois K.